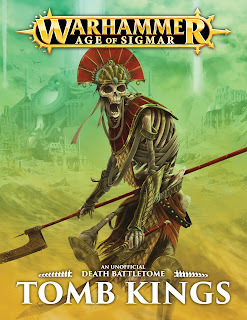 Something cool for was released for Age of Sigmar today, something that I felt the need to share here because it really deserves all the attention it can get. 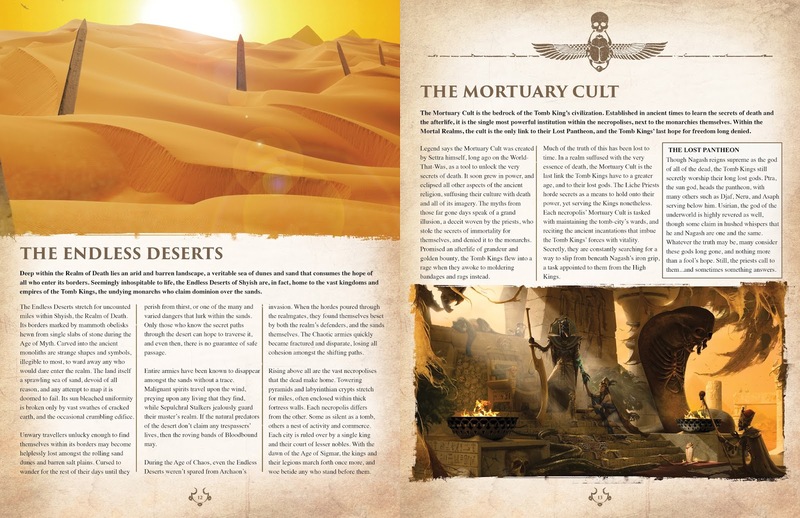 It's a fan-made Battletome for Tomb Kings, providing them with an unofficial but interesting place in the mortal realms. Check it out on Mengel Miniatures' blog HERE! 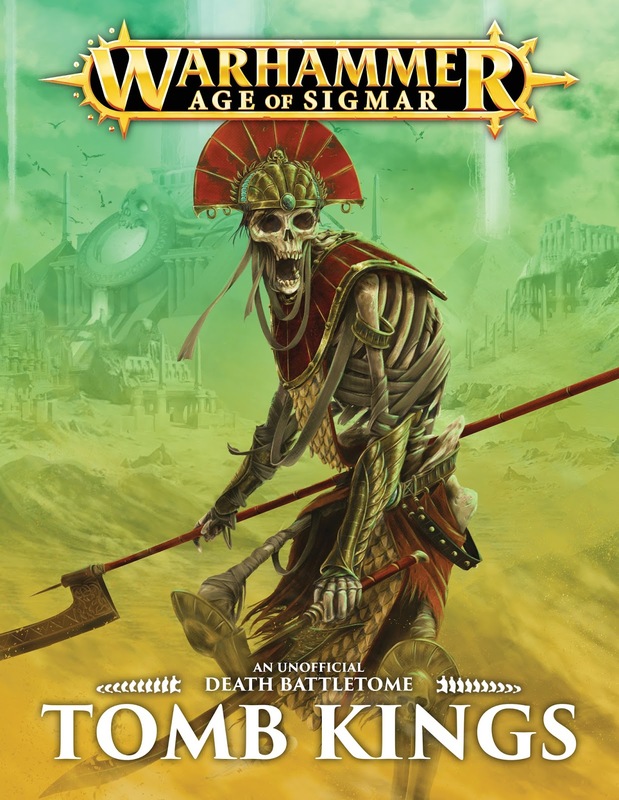 This massive tome, that also includes new battle traits, spells and artefacts, should find its way to any AoS player interested in playing the Tomb Kings. 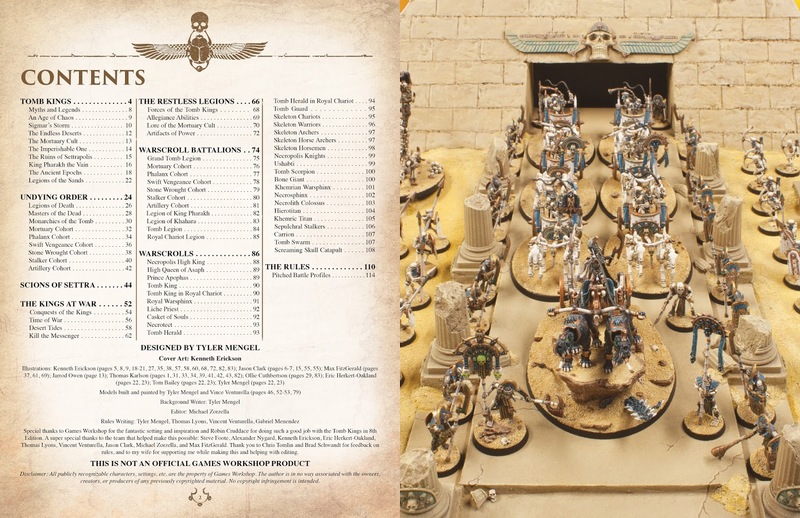 Most warscrolls are the same as in the original Tomb Kings Compendium, or slightly altered, but the pitched battle profiles (point costs) have received a revision to accomodate the known changes in the GHB 2nd edition. 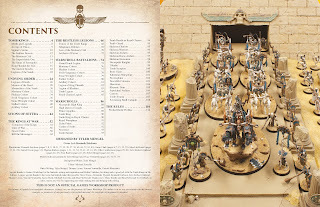 You will also find plenty of new battalions in this tome, and some completely new custom unit warscrolls. Be sure to check out the massive and extremely dangerous Khemric Titan! Artwork on the right page by Jarrod Owen. Well done Tyler and the other talented people behind this!